Due to all the revisions that this ship has went through since she was first revealed, I can honestly believe that WarGimmick just doesn't know what to do with her to maximize appeal. Yes, the auto drop functions on an odd way, with a generous overshoot of any bb that isn't at full speed. The Graf Zeppelin versions, whether with AP or DWT, have always been optimal for sinking Grosser Kurfurst in one strike wave! It's like they don't know TB > DB because of the reduced RNG (floods are still RNG). 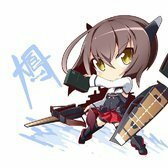 If it's some kind of Super Kaga though... I think the population will take a hit and that's a very short term profit for WG. I was pretty abysmal with the GZ stock, GZ Test 1 DBs GZ Test 2 and actually performed OK for me with the GZ Test 1 Torps. I lack the skill to manually drop successfully with any of the DBs and Torp Planes. Some what blame this on the War Gaming Decision to not allow manual drops on tier IV and V where one could actually develop the necessary skills without costing a team of players more likely to get pissed off at the VI, VII VIII level. That's because every cruiser and every other BB wrecks the GZ's planes. Most matches are against 9-10's, a Mo/Iowa/Montana will clear all 3 squads of TBs before any of them release. It wasn't anything personal, it's just the only option they have for damage output. I look up the ship stats before battle starts, If I see an iowa or montana not AA spec, I'll hit them first. They have worst TDS, increasing my total torp damage. In my experience in a shoukaku,. Fighting this version of the GZ almost guarantees a win, since they can't hurt DDs and generally lose the plane v plane battle which let's me hit whatever I want. That's why GZ should never attempt to muscle control away from a CV with better fighters. It needs something to assist its fighters to win that fight. I agree with your statement about the torps, can't reset caps with them like you could with the AP bombs. If they are going to Deepwater torpedo's for now on they have to be like the Pan-Asia torpedo. Especially on CV's.